If you are planning a trip to Naples, Capro, Sorrento and Positano, don’t miss these two wonderful cities. We arrived in Amalfi by ferry from Positano. You can arrive by car, bus or ferry. Once in Amalfi you will find a pedestrian piazza with the church. The church is up a set of steps and has a wonderful tour. At the bottom of the steps is a fountain you can drink from and plenty of restaurants in the piazza to eat or have a drink. Outside the city walls by the ferry docks (and bus stop) you can find a bus to Ravello. Buy your tickets at a tobacco shop (there is one at the city wall. The bus ride winds itself up a very steep mountain to the top. 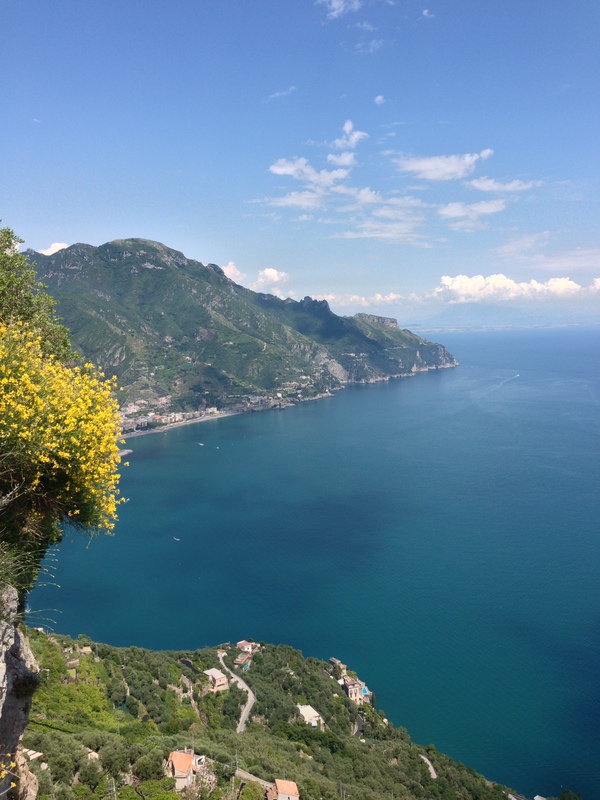 Ravello sits atop this mountain with unforgettable views of the sea. 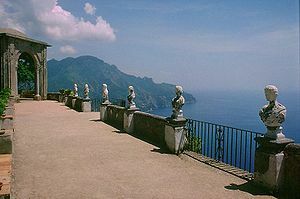 Once at Ravello, the bus stops outside the city walls. Walk through into the central piazza. There are bars and restaurants. There is a tourist center near by where you can get a map. 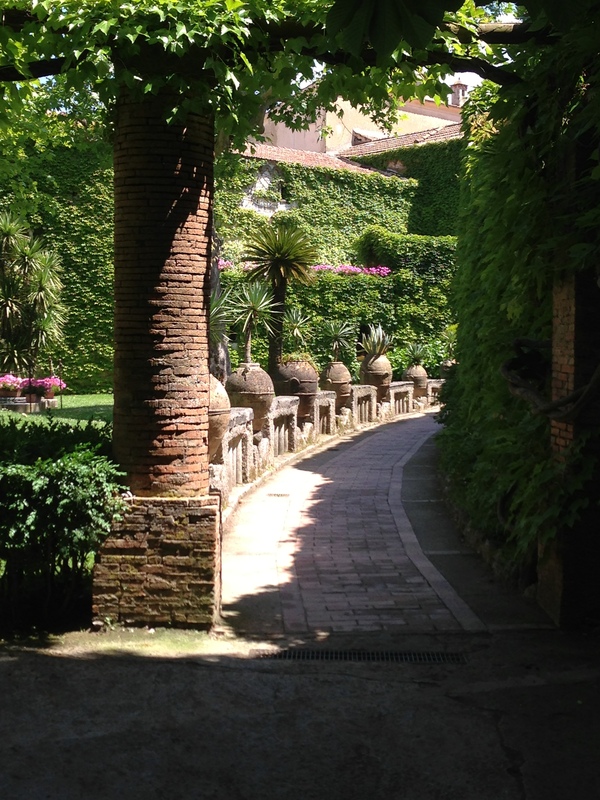 Walk to the other side of town to Villa Cimbrone Gardens. It is well worth the walk. These gardens were a refuge for Hollywood movie stars years ago. Now they are open to the public to enjoy. At the very end of the gardens you will find yourself on a walk by a cliff that overlooks the sea, Amalfi and the road up to Ravello. Relax and enjoy. After your walk back to town stop at a bar and enjoy a drink or a soda. Relax and take in the people and the town. Imagine life here. When you are done retrace your steps back out through the town wall to the bus stop. Buses can get very crowded. There are also car services and taxis to take you back down to Amalfi. One of Fiats new car commercials shows a new fiat being driven off a dock into the sea. It was filmed at the docks in Amalfi.